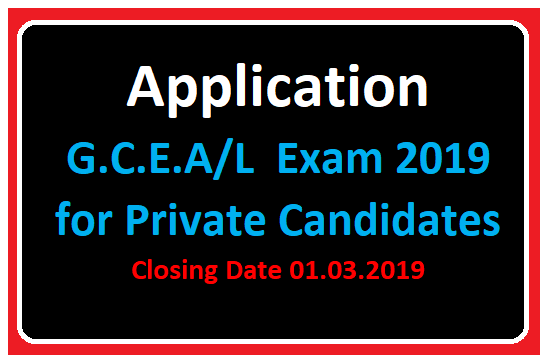 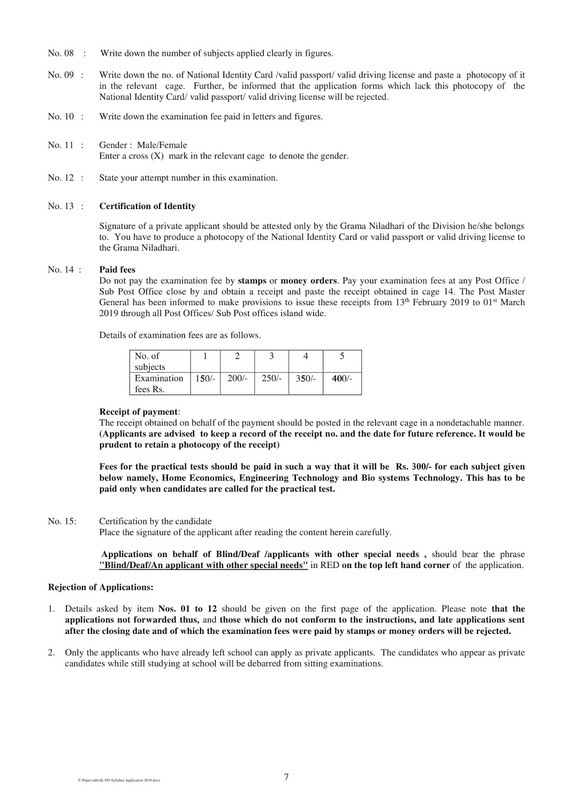 Applications of private applicants for the G.C.E.A/L 2019 Exam will be received from 13.02.2019 to 01.03.2019. 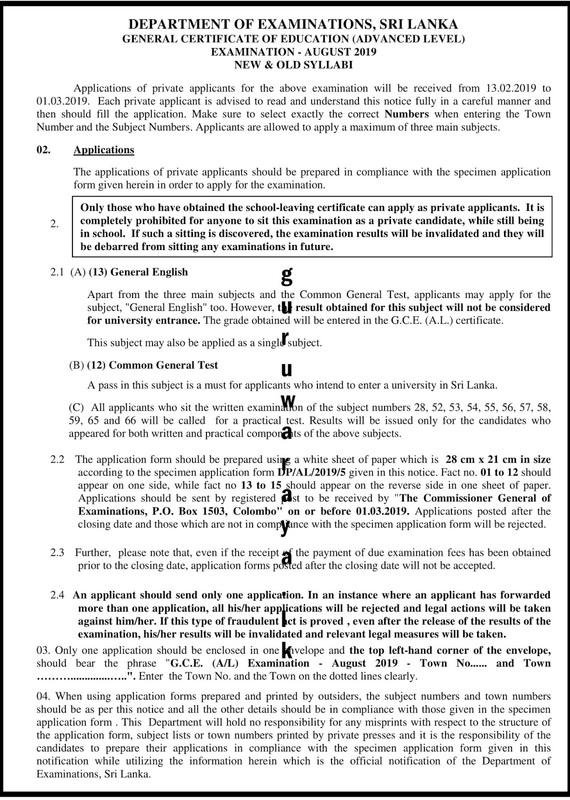 Each private applicant is advised to read and understand this notice fully in a careful manner and then should fill the application. 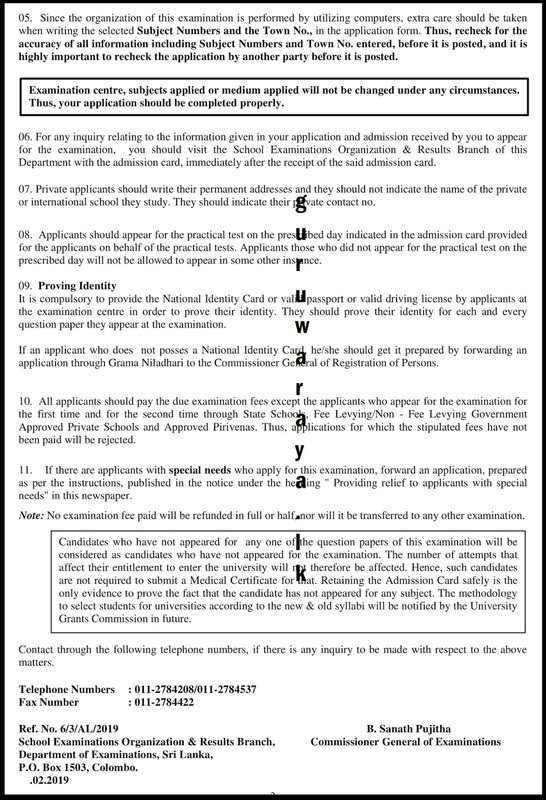 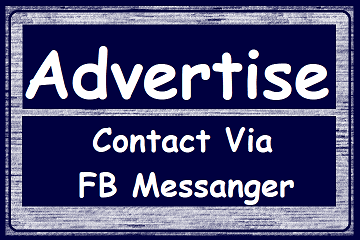 Make sure to select exactly the correct Numbers when entering the Town Number and the Subject Numbers. 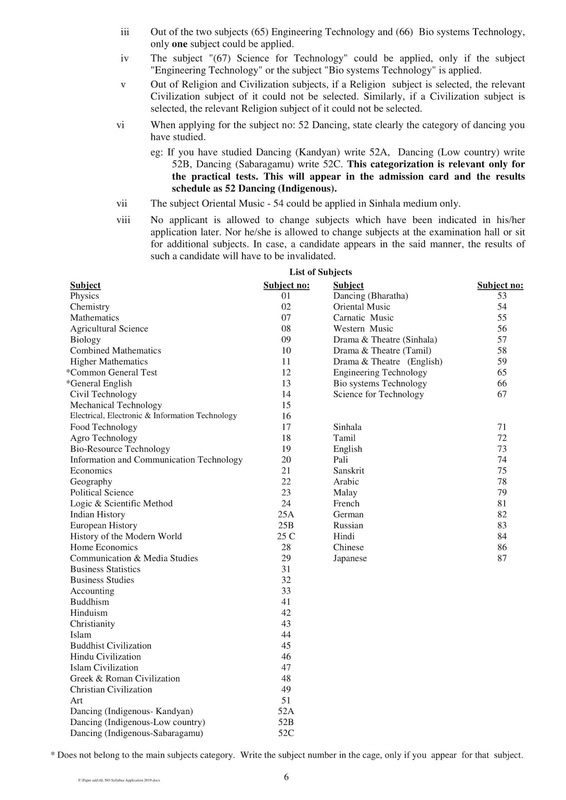 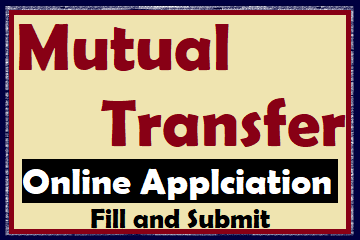 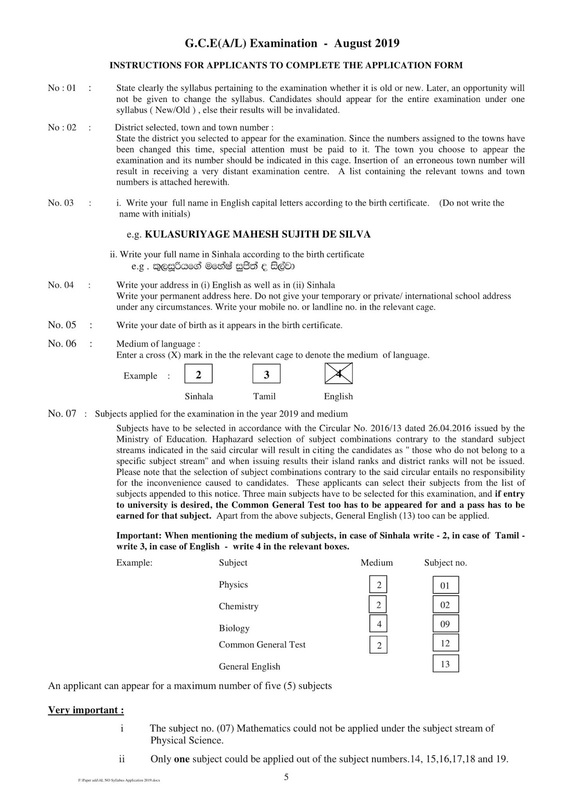 Applicants are allowed to apply a maximum of three main subjects.